Want to have an easier packing and moving experience? Then, you may want to try crate and skate rentals for a new and easier move. Well, this article will give you clear thoughts about how they are more beneficial than using the traditional boxes. Does it cross your mind how many trees are being cut down only to create cardboard boxes which are commonly used once or twice? Well yes, a lot of precious trees are cut down. Sounds crazy, right? So, professionals suggest the use of crates and skate for a convenient packing and moving experience. We have listed below some of the benefits you could get by using them. Renting crates and skates for your business relocation removes the hassle of worrying about where you’re going to buy the boxes for your stuff. They are already pre-assembled and ready to pack. You don’t need to fold and use tapes to start using it. In fact, its design is to store items securely from any room in the office. As a matter of fact, it’s a one size solution for all your packing needs when moving. And unlike traditional cardboard boxes that are difficult to transport, crates are easy to move with the skates. You don’t have to carry it all the way to the truck. Well, technically, crates are heavy-duty plastic storage boxes that can hold more weight than traditional ones. In fact, they are designed to protect your items during the entire move. You can even use them for temporary stacking to a self storage facility. Likewise, they are proven to be a stronger solution in every packing and moving jobs. And with rental skates, you could make sure that the transport of items to its new location is safe and secure. When you get to learn about the crate and skate rentals, you wouldn’t opt using the old-fashioned ones. They are indeed stronger than cardboard so this means you can pack more and reduce damages. You don’t even need to spend money on other packing materials like tapes and others. It is an eco-friendly box. Each crate can be reused in hundreds of business move before being recycled, unlike the carton ones which you could only use for 2-3 moves. Well, what you need to do is to collect your crates and position it on the floor. Start packing up your office possessions and fit everything into your designated crates. Anyway, you will be provided with labels for it and other items. You can fill in the labels of your desired details for references in identifying which of them contains the items. And after packing, you can place on a plain ground. Position the crates on the skate on a safe spot on the ground that does not interfere with your working or walking area and to avoid any danger. And don’t attempt to carry, push, or even move it after you finish the packing to avoid any danger. Take note, never over-fill a crate. Instead, makes sure you can close the lid properly. And if your objects are too heavy and need to transfer in a distance, you may use mechanical aids like trolleys. Office relocation requires a lot of work. From planning, organising, packing, transferring up to unpacking, all of this needs a proper management. And it’s a very tiring job indeed. However, with crate and skate rentals, you could guarantee that your packing and moving would be a lot easier. Looking for affordable crates and skates rental? Well, you don’t need to go any further, Business Relocation Services offers crates and skates rentals for your move. Call us today for more details and learn our other relocation and removal services that may fit your business needs. Also, ensure that your company files and documents get to your new location safely and in an organised manner. 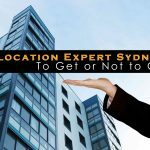 Read our article: How to Manage Company Files in a Sydney Office Removals?